Most of the work I do has a detail on the back, I enjoy very much doing it. Lately I started making brooches but I was very curious to see how other artists where making their pin backs and the back of their designs. 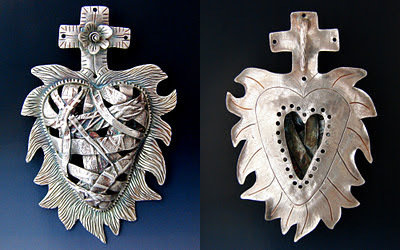 I looked for inspiration everywhere but it was very hard to find images of the back side of the brooches. Because I had a difficult time finding images of the back view of brooches I started thinking it will be great if I can create a collection of images from other artists as an inspirational tool. 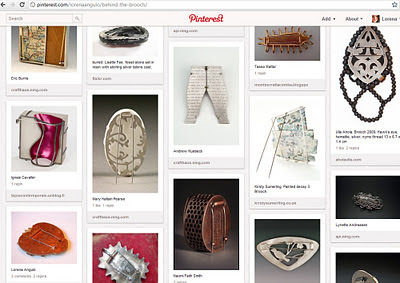 I finally did it in my Pinterest page, I created a board about the back view of brooches called "Behind the brooch." Come and take a look at the wonderful work by these artists. I am sure you will find it very interesting and helpful. I took a class with the talented Gary Schott at Southwest School of Art and I learned how to make my first pin back with him. It was fun and I know I have to practice much more to feel more comfortable making my own pin backs and also start thinking of different ways I can design my own. Back view of my first time making a pin back. 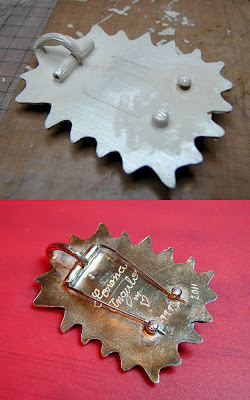 I also work a lot with metal clay and took the challenge to make my own pin back and pendant finding for my piece. How do you approach the design of your work ? Do you do something special for the back side? 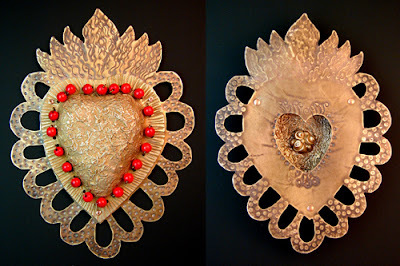 I will love to find out what your ideas about this topic are and if you want me to share an image of your back view of a brooch, let me know and I will add it to my board. 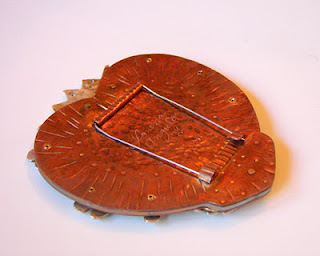 The back of a brooch should be as important or, perhaps, even more important than the front. It might function as a continuation of the theme in front, as an antithesis, as an inquiry or as a conclusion. On a narrative brooch, it is interesting to have the themes wrap around the sides of the brooch, unraveling the story. The relationship between the front and the back of a brooch should make the brooch an autonomous entity that speaks for itself. Agree, it is very important to take as much time to create a beautiful back detail as the time spent in the front. I get sad when I see Gorgeous work but as soon as I turn them around it is such a disappointment, not only because the back is not appealing but some times I also see very bad craftsmanship. The back is as important as the front. i'm always happily surprised when i see post earrings (non-dangly) made with attention to detail on the backs, like fretwork scrolls, and equally delighted when the ear nut has this detail! I think this is very smart. This is a fascinating topic, Lorena. And thanks for the comment Inbar. I feel the same way. 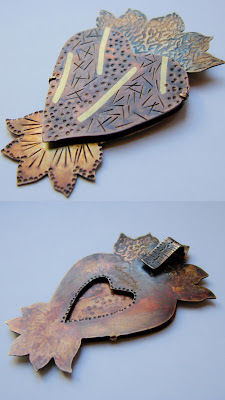 I do show the backs of brooches here on crafthaus if it is warranted. 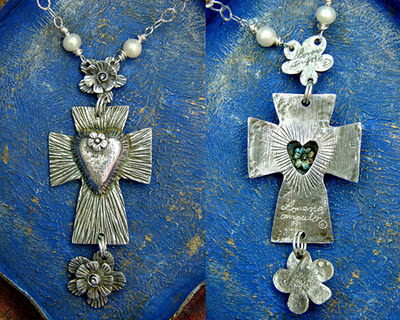 I am happy to say that there are a great number of artists who aim to make the backs of their work compelling. It is almost like a little insider-secret, only apparent to those who actually bother to give the work more than just a cursory glance. Here is a small selection. Enjoy!